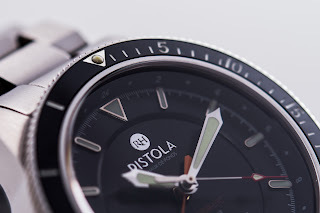 INTRODUCING the PLONGEUR UTC 300M, the debut divers watch from RISTOLA, a new Swiss watch brand based right in the very heart of the Swiss watch-making territory of La Chaux-de-Fonds, where their neighbors include a veritable ‘’who’s who’’ of prestigious watch brands. 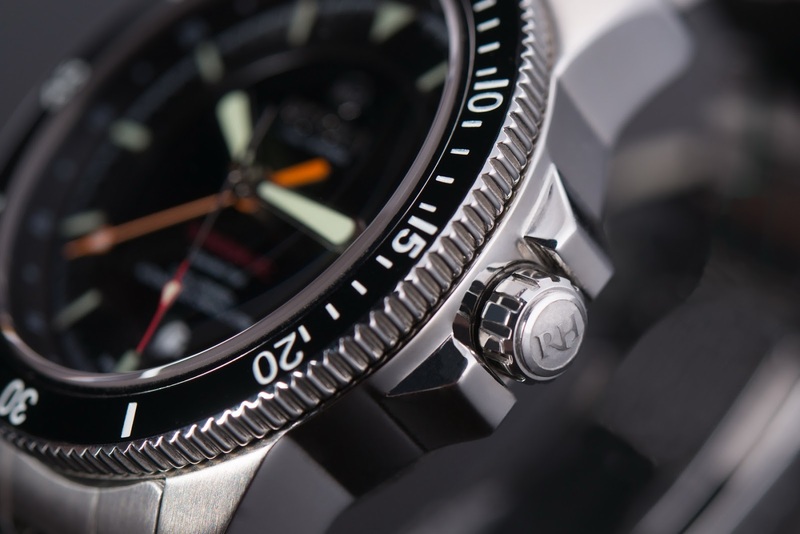 Ball Watch Co., Breitling, Corum, Eberhard & Co., Girard-Perreguax, JeanRichard and Tissot; even the water-resistance specialists, Roxer – all hail from La Chaux-de-Fonds, a city in the Neuchatel Canton of Switzerland. With such neighbors, surely RISTOLA would not be wanting for inspiration – however unlike those famous Swiss brands, RISTOLA don’t believe that it necessary to have a hundred years or more of history or big name brand ambassadors to succeed. When they decided to create their own brand, they wanted to develop watches that adhere to the strictest Swiss horological standards - meaning precision tooling, perfect assembly and thorough testing. 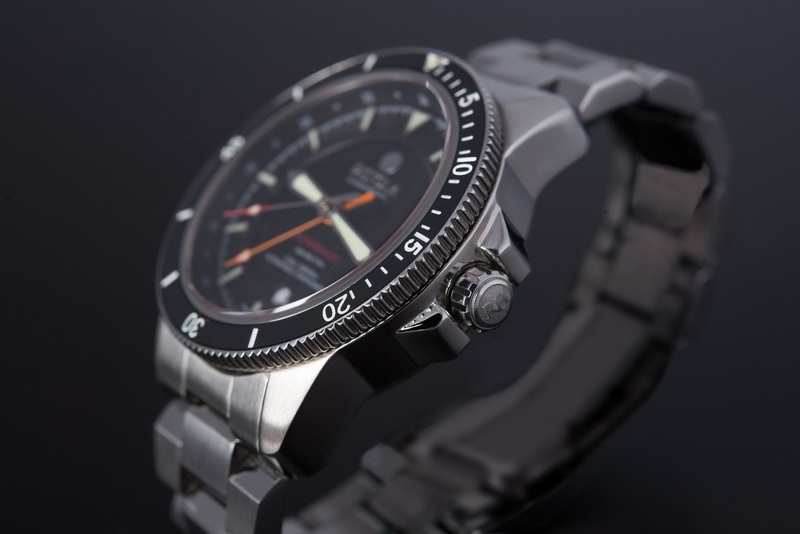 Accuracy, durability, functionality, simplicity, extreme reliability, and COSC and ISO 6425 certification - all bundled into a single purposeful watch – this was the brief that was met by the PLONGEUR UTC. Introduced in a Limited Edition of just 300 pieces, the RISTOLA Plongeur UTC is a professional divers watch with a modern style created for the sporting professional who is looking for an everyday UTC-capable watch but also wants the credentials of an ISO certified diver. 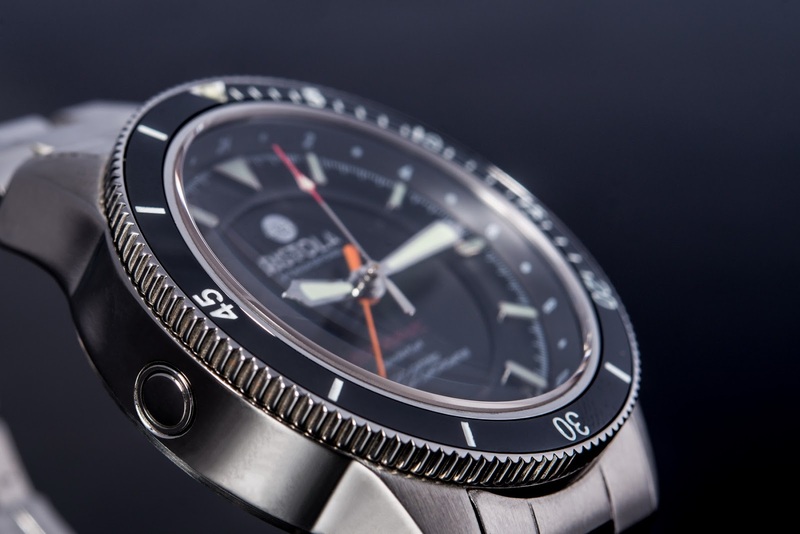 The Plongeur UTC gives the individual the option of light to heavy water activities for work and recreation, while still offering a great classic look for the office and evenings at out or travelling abroad. 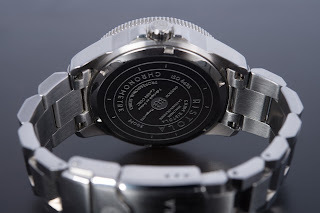 The Plongeur UTC’s 43mm Stainless steel case is driven by a Swiss made ETA automatic 2893-2 COSC Certified Chronometre movement with UTC (coordinated universal time) read via a fourth hand. 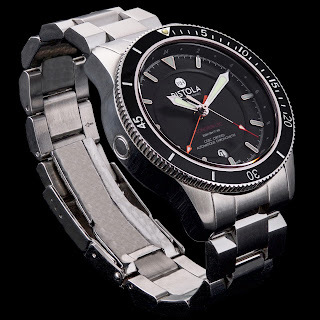 It uses dual time zones along with chronometre reliability and accuracy to give its wearer a sense of calm even under the most demanding of conditions. 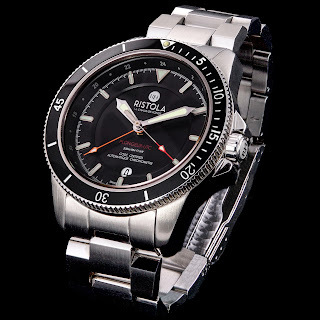 For DIVING it is equipped with an automatic Helium Escape Valve, a domed anti-reflective Sapphire crystal, a lumed dial, a ceramic bezel, anti-magnetic and anti-shock resistant properties, a screw-down crown and caseback and 300 meters of water-resistance as stipulated for ISO 6425 certification for diving. Whether you are traveling from New York to Geneva, are in the Baltic working in the oil and gas industry, diving along the Cote D’Azur or attending a classical concert in Vienna, the PLONGEUR UTC serves all - designed from the ground up to serve as an all-around premium performer. RISTOLA watches are created for the discerning individual who appreciates the highest in quality and craftsmanship from a Swiss watch. From the surgical grade Stainless steel cases to the chronometre grade automatic movements, their Professional Series watches have been purpose-built to last a lifetime. Quality is paramount and they achieve this by following the highest in Swiss watch making standards, as set by the Federation of the Swiss Watch Industry FH. 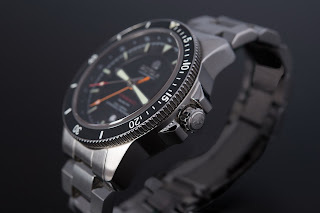 The PLONGEUR UTC’s full Retail PRICE will be 3249USD. 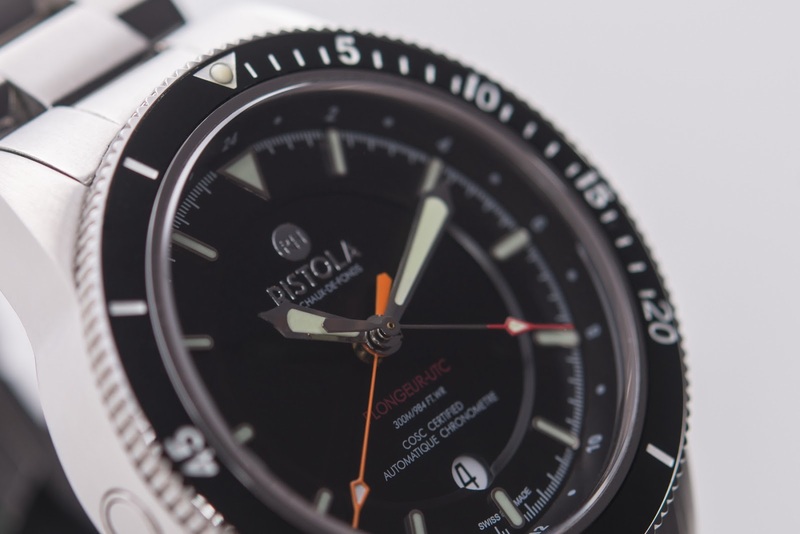 If all 300 units are sold - RISTOLA will introduce a new 3-hand diver for those that seek simplicity in a divers watch without UTC function. 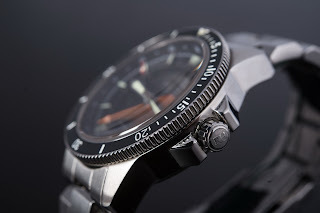 SHIPPING times may vary and are subject to the production schedule of ETA (Our movement supplier), and the COSC (Contrôle Officiel Suisse des Chronomètres) certification process and the ISO certification for dive watches. Please follow the link HERE to reserve your Chronometre-grade PLONGEUR / UTC from RISTOLA.